How do I change plans or cancel my subscription? Log in using your Single User or Family Admin username. Navigate to Your Profile > Subscription (top menu). 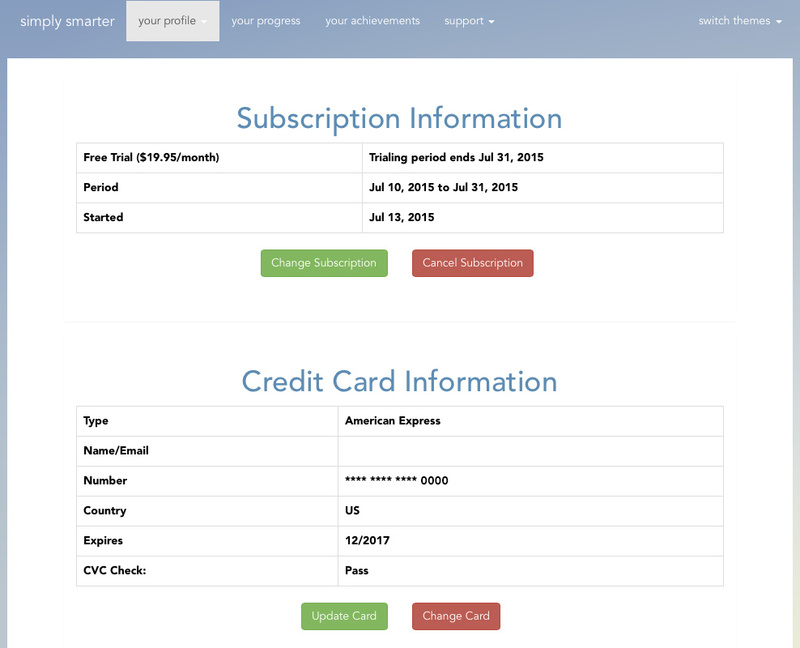 Click on the Change Subscription button under Subscription Information. Single Users can upgrade to a Family Plan, Family Plan Admins can upgrade or downgrade their number of users. If you upgrade to a Family Plan from a Single User account, you can transfer your existing data to the first open Family User account. The program will prompt you and ask if you would like to move this data to your first new user. It is suggested that you do this right away after upgrading so that you don’t risk losing your data. Click on the Cancel Subscription button. Click Yes on the confirmation pop-up window. Your account will become inactive at the end of your current billing period.